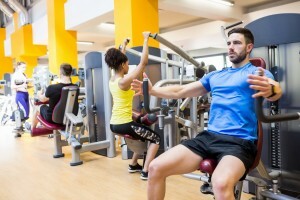 Take the headache out of maintaining your corporate gym. Above and Beyond Fitness Repair offers fast and hassle free service by factory trained service technicians. Above and Beyond Fitness Repair offers maintenance and repair services for all major fitness equipment manufacturers. Providing a quality service and affordable rates. We only employ trained and qualified technicians who will respect your investment and ensure your equipment is repaired with quality replacement parts and the highest levels of expertise. Above and Beyond Fitness Repair Maintenance Program is designed to keep your equipment working safely and efficiently. Call Now For a Free Quick Quote!